Another one of those problems faced by iron-pumping enthusiasts is when you feel your performance improving on the bench press but the chest remains as flat as a pancake. So what seems to be the problem here? It’s a simple case of the arms taking dominance over the chest I should think. So here’ s the primary method used to address this; it’s actually a method that we are all taught in PT school but now I stumbled across evidence that this method actually works. It’s called the pre-exhaust method and the idea is that you fatigue the tricep first so that once you hit the bench press exercise the chest becomes more engaged during the move. The picture above features one of my clients, Jenner. We never actually practised the pre-exhaust method but what he did have was a slight injury to his left tricep. After a few months of working with him we see that the left pec is much better developed than the right pec. My belief is that the weakness in his left tricep allowed him to engage the left pec a lot better. 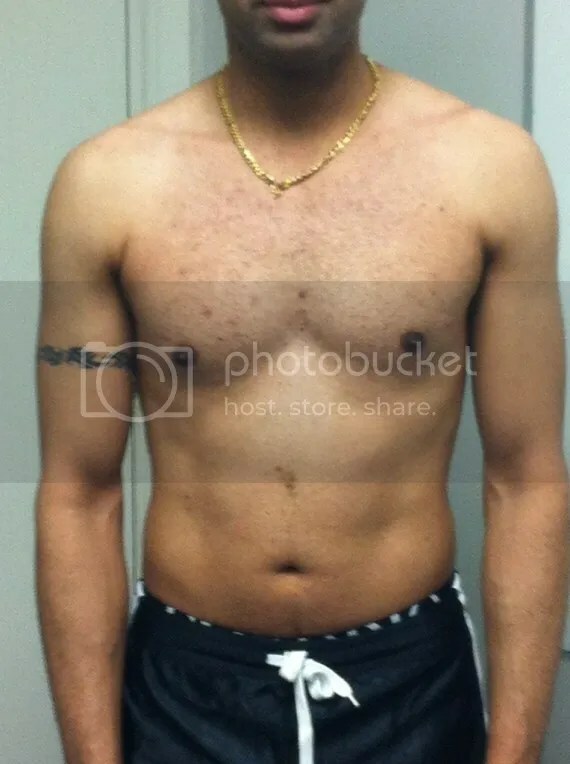 Again a small portion of people will find their pectorals responding well to any chest exercise and they are that minority regularly attending the gym either because they see their results and are thus motivated or because they are scared of losing what they already have. This method is more for those that struggle to build the chest or because they have plateaued. The method is pretty simple; perform an exercise that will fatique the tricep. The chosen exercise needs to isolate this muscle to make it a complete ‘billy-no-mates’. The standing cable extension with the rope is a good choice for me. Once you have done that, hit the chest with an effective pressing exercise, dumbell press or bench-press. Breaking plateaus is a challenging game and gradually I am building up my repertoire of plateau breakers but this is a common one that every Personal Trainer is aware of. Hope you have fun trying this out.